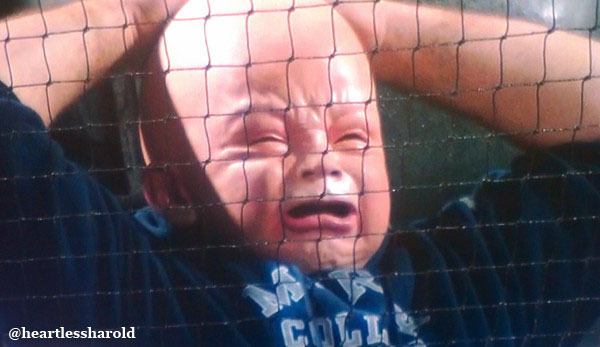 The photo of this creepy crying baby faced Mets fan at a Mets vs. Marlins game was blowing up the interweb yesterday. Some people thought it was someone’s real face… which is unfortunate that there are people that dumb in this world. Probably the same people that are convinced that Evan Longoria is a actually Peter Parker. Anyway, we first saw the fan here. Well, guess what… your prayers have been answered. Now you can creep everybody out too. If you want to send children and adults running in fear, please go here. For a small fee of $200, you can be the talk of the internet at your next sporting event…ya sicko. 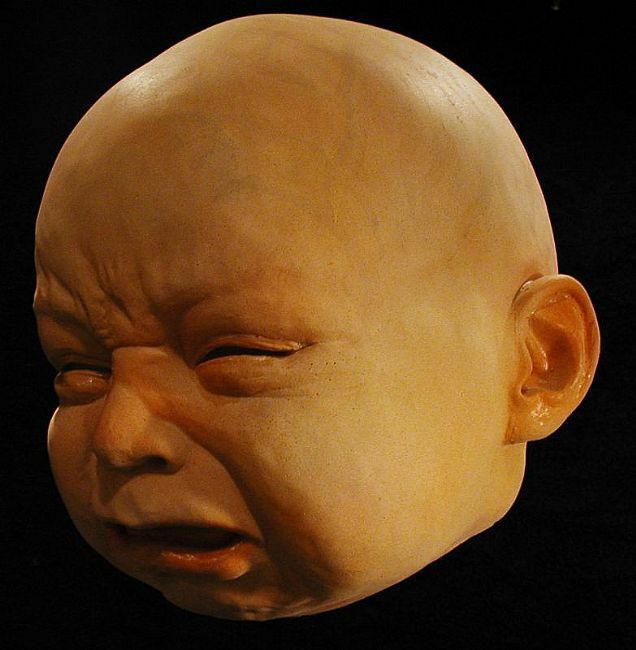 This entry was posted in Baseball, Fashion, MLB, News and tagged Baseball, crying baby faced Mets fan, crying baby mask, fans, Marlins, Mets fan mask, MLB, New York Mets. Bookmark the permalink.